Hailing from the City of Angels, it is fitting that Kadhja Bonet has a voice of not just cherubic properties, but seraphic ones too. In listening to her sophomore album Childqueen and researching the artist herself however, it becomes clear that she is somewhat of an enigma. If you look at her social media profiles you’ll realize she’s only really using them under duress because they are “de rigeur” these days. When the first listen of the album was made available (via NPR), the usual journalistic blurb with some odds and ends of information accompanied it, only for Bonet herself to disavow any knowledge of a conversation with the writer of the piece. In looking at her Facebook page, she revels in the fact that one particular interview wasn’t published as a result of her mind-bending, give-no-fucks answers to the standard issue questions posed of her. Which means it’s back to the good old, pre-social media days of actually listening to her music to discover anything about her. And the key word here is listen, for this is an album that demands you don’t just hear it, but that you listen to the intricacies and details. Played at a low volume while you go about your business, you could be forgiven for thinking this was lighter than a zephyr and lacking any staying power—pleasant but not pleasing. But crank the volume or, better yet, lie in a dark room and put your best pair of headphones on and its true beauty is revealed. It is also quite difficult to categorize the music on offer here. But there is a hint of Charles Stepney’s Rotary Connection work (not least because of the touches of Minnie Riperton-esque vocals) allied to a squelchy, keys driven, lo-fi funk a la Van Hunt, which sit alongside the string arrangements that littered her debut to create a slightly warped shabbiness that permeates the proceedings. Combine these ideas with Bonet’s voice, which imbues most things with an inherent ennui and sadness, and you have a heady concoction of mostly deeply-affecting beauty. Lyrically though, the album is decidedly sparse—some tracks drift in and out with nary a lyric to grab, leaving you to cling to those that pass by close enough to your ears to be understood. The opening two tracks are cases in point. “Procession” with its “every morning is a chance to renew” refrain, flute interjections and the delicate rat-a-tat of military drums sounds like imperial procession music from some 1970s sci-fi film lost for decades. 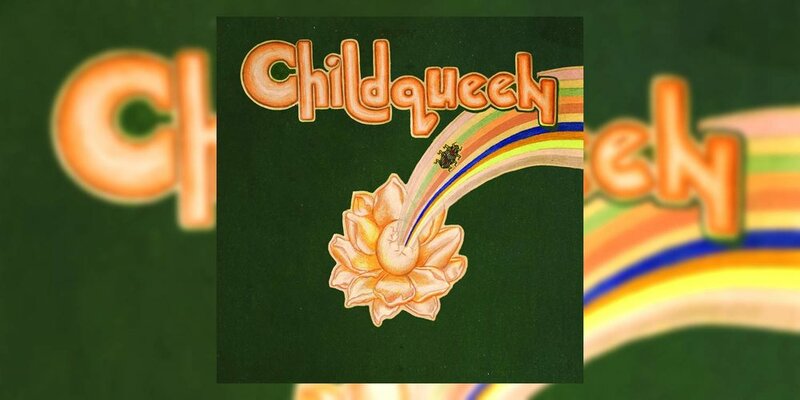 But some lyrics are half lost in the dramatic flourishes, while the woozy incantations of title track “Childqueen” are almost impenetrable. Album highlight “Delphine” is an archetypal Bonet song. A stately pulsing throb forms the bedrock and her elegantly wasted voice oozes disintegrating decadence, equal parts beauty and oblivion. A tale of obsession, it both unsettles and attracts the listener. Its equal is “Mother Maybe” with its surprisingly punchy opening, funky bass and powerful lyrics. A paean to motherhood, it casts doubt on Bonet’s self-confidence to be a parent despite the transcendent imagery of the lyrics: “You’re the quiet forming cloud / You’re the nebula that pulls a glow from emptiness / You’re the deep and secret sea / Acquiesce in colors siphoned from the love that is me /As we are.” As it draws to a seeming close, the refrain “Mother maybe” is repeated over and over as Bonet’s voice rises to a tumult of Riperton proportions. It is quite startling—in a good way. To anyone who fell for her steepling vocal harmonies and gloriously sweeping string arrangements on her 2016 debut The Visitor, those same trademarks are present here. But the musical palette has been broadened somewhat by the introduction of the swirls of funk and an attitude that is occasionally more forceful than on her inaugural effort. At just 10 songs, the album never outstays its welcome. It is lean, taut and entirely played and produced by Bonet. It seems entirely unfair to be blessed with a voice so beautiful and to be able to play so many instruments, as well as produce them so cleanly. But hers is a talent that clearly knows no limits. How this album performs will likely depend on word of mouth, given her antipathy to social media and unwillingness to play the game. So shout this one from the rooftops, pass along the love and pay it forward. Whether the wider world is ready for her esoteric, difficult to categorize artistry is anyone’s guess. But that’s its problem. I love it.